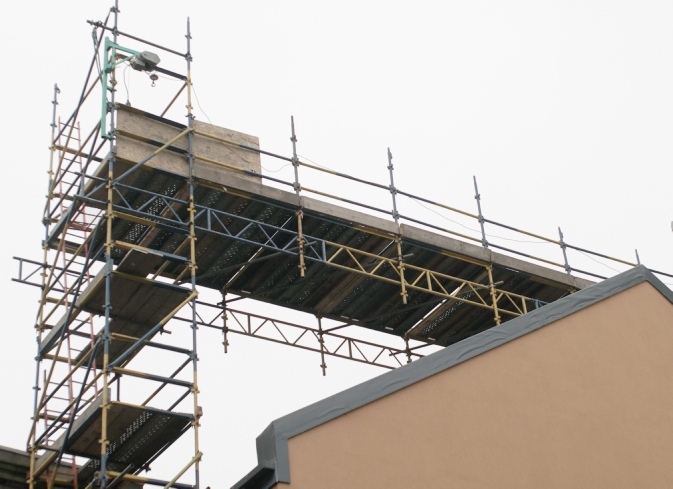 From the outset Form Access Limited endeavour to provide a scaffolding service catering to your needs in accessing areas unreachable using competent labour and materials fit for the intended purpose. After an initial site survey we will provide fixed costings regardless of operatives and materials time on site allowing the customer the comfort to budget and programme their project as and when required. Our works are constantly supervised by trained staff that are confident in their roll insuring a smooth process from start to finish providing customers a contactable go between. 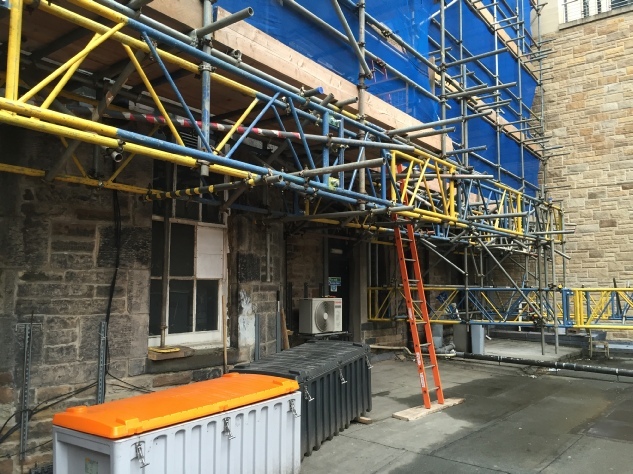 This project was installed in Edinburgh city centres bustling George street. The high profile installation was managed with utmost safety in mind due to working within close proximity to members of the public on the footpath. Opposite, the image demonstrates a challenging solution where we were asked to design a scaffold that bridged over a neighbouring low level roof allowing access to the façade and roof above. 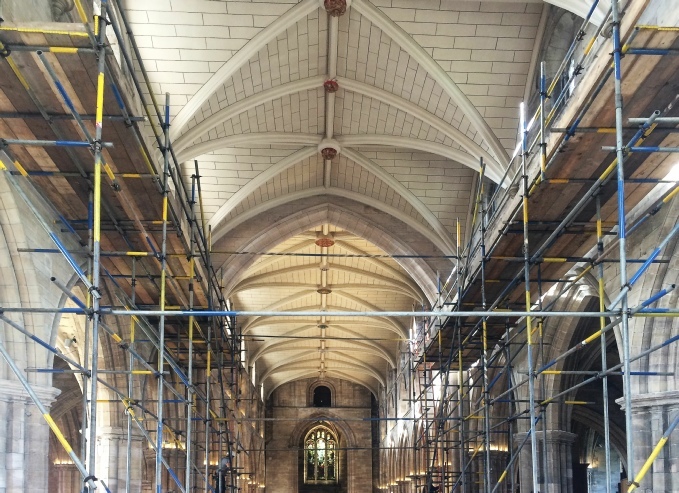 Here we see works carried out for Historic Scotland the job called for our experienced workers to erect the scaffolding to allow repairs to be undertaken safely at the centuries old Linlithgow Palace Kirk. 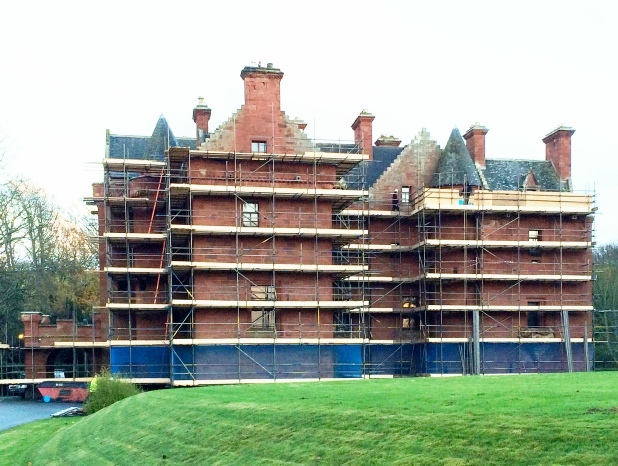 Nunraw tower in East Lothian proved challenging with our installation due to the fact we could not fix a scaffold directly to the external fabric being a Grade A listed building. We utilised previous inserted anchor points after testing their integrity and added buttresses to secure the scaffold in place. Carnegie Leisure complex having several extensions makes some areas difficult to access. Our designed and constructed tower not only allowed easy access for workman but also for the building materials needed to safely complete the necessary works. 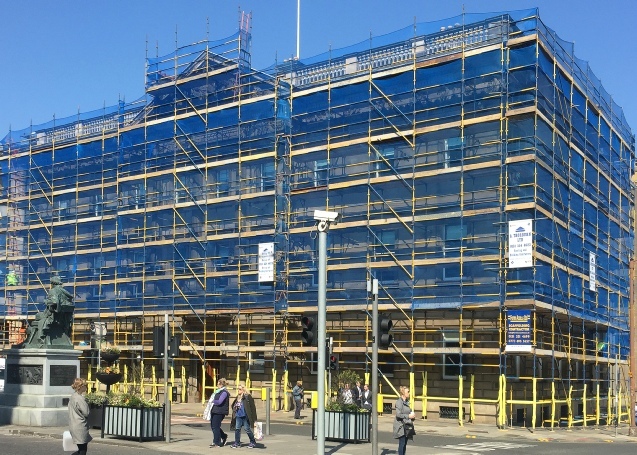 We offer a comprehensive Design service for all our scaffold services from covered structures to temporary support structures. Our team produce drawings to meet your requirements, based on safety and cost -effective basis. 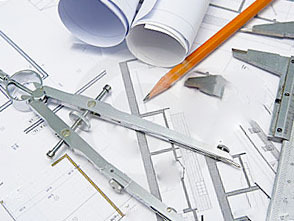 Our plans are fully costed and solutions offered for complex erections.